First time having sushi? 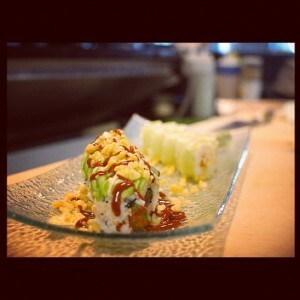 The Delicious is the perfect beginner sushi roll! With either salmon or tuna, the Delicious roll is filled with seaweed salad and topped with avocado, tempura crunch, spicy mayo, and the Bento Box’s spicy sauce.